This story takes us back to the old wild, wild west days – execution style! Back in the days when you were convicted of a crime worthy of capital punishment, taken out into the dusty old streets in town, blindfolded, and then a line of riflemen took aim, fired, and that was it… you were executed! Let’s fast forward now to today – April 23rd, 2010 – A Utah judge has apparently given a death row inmate a choice on the style of execution used to deliver his final punishment. The choices given to Ronnie Lee Gardner, who has been on Utah’s death row for 25 years and counting, was death by lethal injection or death by firing squad. And much to the surprise of the entire world who is now reading about this news, Mr. Lee Gardner chose death by firing squad. According to the HuffingtonPost, of the 35 states with the death penalty on the books, Utah is the only one to use the firing squad as a method of execution since the U.S. Supreme Court reinstated capital punishment in 1976. So let’s do it then! My only question here is this – does the state of Utah actually have a trained squad of riflemen for this type of execution? Or do we just grab some random cops who have a day off, pay em’ a couple extra bucks, and just line em’ up to have them pull the trigger? 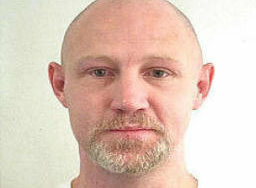 The Ronnie Lee Gardner execution story is sure to gain more attention as we move closer to execution day. I’m just wondering if the execution itself will end up on YouTube? I’m betting that plans to secretly video tape this thing are already underway.